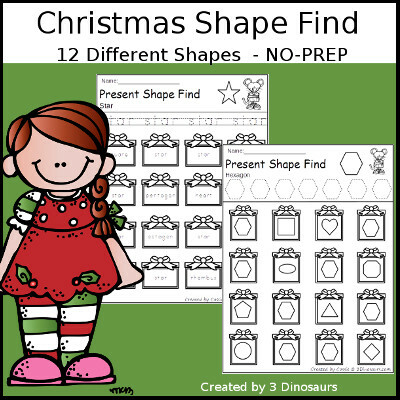 Buy all the Christmas Shape Find for $3.00 Teachers Pay Teachers or Teachers Notebook This gives you all 24 pages with shape name and geometric shape printable. 2 pages sample of the Christmas Shape Find. 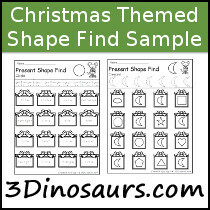 Click on the files below to download your copy of the Christmas Shape Find Sample.